Ask any marketer and they’ll tell you: when it comes to effective content marketing intent is everything. Gone are the days when Google’s algorithm would return search queries with results based on keywords alone. Today it’s all about intent – and search engines are getting a lot better at guessing what we’re after. But it’s not just your SEO that can benefit from an intent-based approach; creating customer-centric content can have a significant impact on your conversions as well. In fact, some marketers are even saying that intent-based targeting is better than targeting by demographics alone. This is because, as programmatic advertising platform Simpli.fi puts it, while demographics show you who someone is, they can’t really show you what they want. When I first launched my company RTA Cabinet Store some eleven years ago, I immediately began focusing heavily on content creation and link building. I soon discovered that looking to create content that specifically addressed a concern or answered a question was much better than taking a stab in the dark. Despite having only $5,000 in the bank when I started, eventually my company would go on to net $30M in sales – something that I attribute in large part to my focus on intent-based content. It can also be a great way to draw in relevant traffic, the kind that’s a lot more likely to translate into actual sales. If you’d like to incorporate intent-based content into your marketing strategy, here are a few tips that can help you on your way. While this intent will vary from person to person, generally speaking it almost always falls into one of three categories: either they’re looking to purchase something, to find information about something, or for a specific website. Navigational Queries are usually straightforward. The visitor is looking for a specific website or page, and there’s not a lot that you can do to capture their attention otherwise. Informational Queries and Transactional Queries, on the other hand, are queries that can be fulfilled with intent-based content. And since they account for the bulk of searches today, we’ll be focusing primarily on those. Now, let’s take a look at what each of these queries means, and how you can tailor content for each. Informational queries take place when the searcher is looking to learn more. 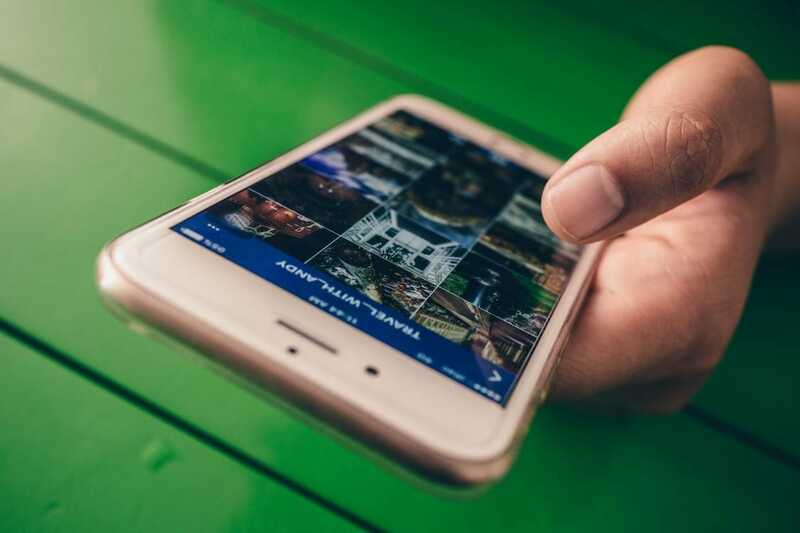 Generally, the traffic that you’ll receive from informational queries will be visitors who are looking for info on your industry or the products that you sell. These searchers will usually be a little higher up in the sales funnel, as they’re not necessarily looking to buy; they’re just doing research. When it comes to content creation, the truth is there are quite literally dozens if not hundreds of different relevant informational topics that you can create, to educate your prospective customers, and help lead them farther down the sales funnel. As you might have guessed by now, transactional queries take place when a searcher is looking to make a purchase. These queries are the type that marketers get excited about because they’re a good indication that someone is ready to buy. And it’s a great opportunity for you to assist them in the process. You can help these visitors convert by making sure that you provide comprehensive product information on your sales pages. You should also optimize and simplify the checkout process, and look to resolve any objections that potential customers might have. Now that you know the different types of intent that searchers have, let’s take a look at how to go about creating content that caters to their needs. During RTA Cabinet Store’s first few years, creating content came fairly easily to me. I’d use my own curiosity about cabinets to come up with ideas for new pieces. But after a while, I started branching out and sourcing my ideas for content directly from my customers. Soon I was creating content that was tailored for a specific visitor’s needs – and that was what led to a significant increase in not only traffic, but also conversions. Now, I’d like to share with you some practical tips for creating intent-based content. Many of these ideas are ones that I have used myself – with great success – and I’m certain that you’ll be able to benefit from incorporating them into your content marketing strategies as well. One of the best ways to start creating intent-based content is by taking a look at the keywords or search terms that people are using to find you. That’s a great clue as to what, exactly, people are looking for. Most of the time it’ll be obvious if a query is transactional or informational, but if you’re not sure just punch the query into Google and see what type of results you get. If the top results are informational, chances are the question is too. Sometimes, though, you’ll have queries that contain multiple intentions. For example, someone may search for, “How much should I spend on a Burton snowboard?” This could be both informational and transactional. So think carefully about the intent behind the questions, and tailor your content accordingly. 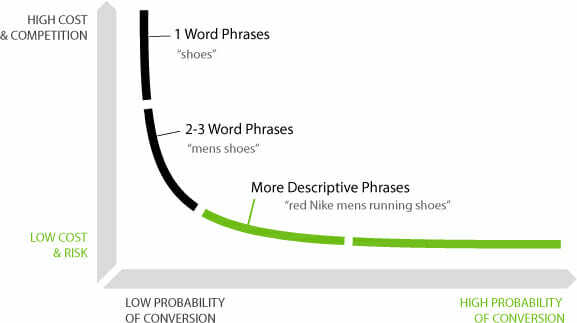 Once you’ve identified what your potential customers are searching for, you can turn these long-tail keywords into powerful content, bringing even more potential customers to your company’s blog. Tip: Google’s algorithm places a strong emphasis on intent. Look to create content that addresses the search queries that people are using to find you. Frequently asked customer questions can be turned into a content goldmine. 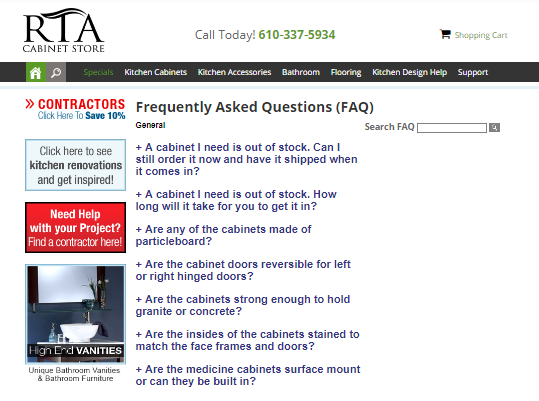 Early on, I’d look at competitors’ websites to see what types of questions people were asking about cabinets. I’d then get to work creating helpful and informative articles that addressed those questions. Once RTA cabinets became more established, I was able to use our own customers’ FAQs to create even more tailored content. Today, any time our customer service reps get a phone call or a question, they enter it into a log. We’ll then create a video or article about it. Those questions or concerns have become a tremendously valuable source of inspiration for informational content creation. This helps with SEO and as a bonus can also save our reps time since they can easily refer to these articles when the same questions arise again. Tip: Mine your FAQ page or customer service reps for questions that you can turn into helpful guides or tutorials. When creating content for your target customers, it pays to think outside the box. This means that you should always avoid taking the overtly promotional approach with your content – especially pieces that are designed to address informational queries. The people who are searching for “How to ____” or “What is the best ____” are usually higher up in the sales funnel and not yet ready to buy. For this reason, you’ll want to take a different approach, one that involves creating helpful content, without coming across like a hard sell. For example, when I first launched RTA Cabinets, I took an approach that seemed somewhat unconventional at the time. Instead of focusing solely on growing my Facebook business page through ads alone, I started up some Facebook groups for different things – besides cabinets – that my target audience would be interested in. I had interest groups for cooking, for example, or BBQing, and would share content related to those niches, and drop in the occasional post from RTA cabinets, too. Since the posts were largely helpful and non-promotional in nature, this was a great way to grow my following, while marketing my company at the same time. Tip: Create helpful articles and social media posts to address informational queries. Remember, these prospects are much higher in the sales funnel, so look to create soft-sell content. Be helpful, not promotional. Downloadable content is another great way to target informational queries. Early on, I began creating high-value content that would interest the followers in my Facebook groups. I’d share recipes or guides that I’d turned into downloadable content. These downloads were available for free and in exchange, followers would provide their email address to receive their copy. This gave us hundreds and eventually thousands of prospects’ email addresses, which we compiled into a mailing list. I also began offering free downloads on my blog, which further grew my email list. This not only allowed us to start sending direct emails, but also gave us an opportunity to create custom audiences on Facebook, Twitter, and Instagram – to target them on other platforms as well, which helped us further segment our audience and drastically increase our conversions. Tip: Downloadable content can benefit your company in more ways than one. But it’s an especially good way to provide prospective customers with something of value, helping them to warm to your message. ‘Tis the season! By the time November rolls around, people are already shopping for Christmas. 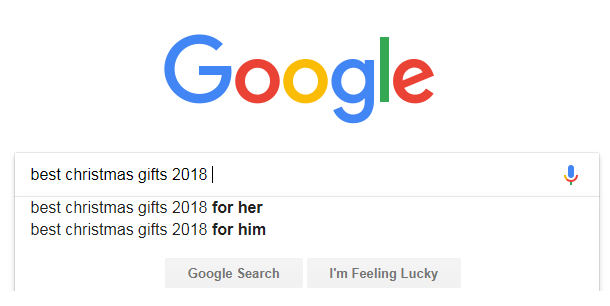 Often, their search queries during this season will change as well. For instance, instead of searching for “What’s the best deal on perfume?” they may start to look for “Best gifts for women,” “Fast shipping for perfume,” and other queries along those lines. There’s usually a clear shift from informational queries to transactional queries, indicating that people are lower in the sales funnel and ready to buy. During the holiday sales season, my team works hard to reach customers with marketing tactics that are designed to meet them where they’re at, and encourage them to go through with their purchases. We find that Black Friday is an especially good time to run campaigns since a lot of people are hunting for deals during the weekend and for big-ticket items especially. In short, people are ready to buy! Since a high percentage of your visitors during this time of year are arriving via transactional searches, your website’s content may need to be adjusted for maximum impact as well. 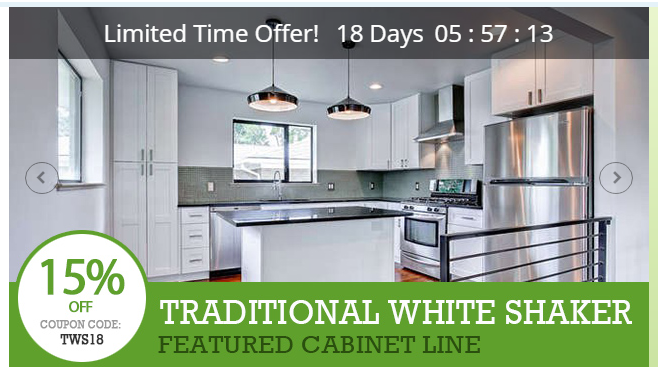 Consider offering free shipping on orders over a specific amount – I’ll often provide free shipping on cabinet orders that are over $2,500, helping to make the purchase decision that much easier. Again, if you’re offering something like free shipping, adjust your content to mention this fact. Tweak your front page and add it to your product page as well. 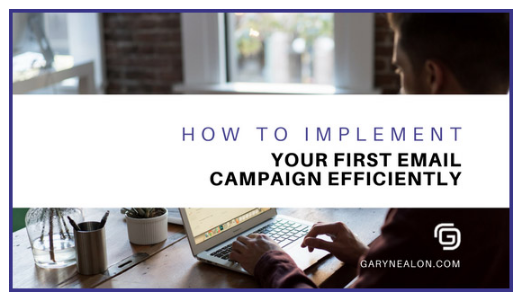 You may also want to consider running a few flash sales during this season, and include a countdown timer on your website to create a sense of urgency. And don’t forget to adjust your keywords on your copy to optimize for holiday-related search terms. “Free shipping,” “fast shipping,” “holiday sale,” and “Christmas gift ideas” are all viable options. For e-commerce stores especially, creating holiday-themed content, such as gift guides, can be another great way to draw in more potential customers with relevant content. Got visitors that view a product but leave without purchasing it? Consider retargeting them with Facebook ads. You can even set up retargeting ads to reach out to people who use a specific keyword to find your site. Talk about intent-based marketing! Of course, this is also a good time to brush up on your email promotions. But don’t bombard people with emails that they don’t want! Instead, look to segment your email lists to ensure that subscribers get emails that they’re interested in. Sell excess inventory to new shoppers – or send them a coupon to encourage them to take action, reward loyal buyers with promotions, and send recommended products to people who’ve recently purchased a related product. Your options are limitless. Tip: Creating content that caters to transactional queries around the holidays can help you to increase conversions and revenues. How-to videos are a classic and extremely effective way to create content for informational queries. Take, for example, Home Depot. Years ago, they discovered that DIY-enthusiasts often head online to search for how-to tutorials. They realized, of course, that this presented the perfect opportunity to reach these on-the-fence prospects and began creating videos on building bookshelves, making picture frames, and tiling kitchens. Today, their collection features hundreds of videos, and the top ten have received a million or more views. All in all a great way to create content that resonates with their target audience. I’ve taken a similar approach with my marketing, and run a YouTube channel with lots of helpful instructional and how-to videos on cabinet installation. I make my customers’ lives easier and increase sales at the same time. It’s a win-win! Tip: The right tutorials can help you to eliminate hurdles that are keeping potential customers from buying, helping you to increase conversions. As you can see, these days intent-based content is largely where it’s at. I can say with confidence that taking an intent-based approach has helped me create content that my customers are interested in while increasing traffic to my product pages and boosting SEO. Not only does intent-based content allow you to give customers exactly what they’re looking for, but it can also help you future-proof your content. As Google’s algorithm continues to shift in favor of intent-based search, helpful, informative guides and tutorials will continue to rank well. And companies that can provide the best, most relevant content will come out on top. Gary Nealon is the founder of Nealon Solutions, which offers strategic marketing consulting services designed to help you scale your e-commerce business, increase revenues, and maximize profits. Gary's strengths in strategic planning, SEO, and social media have helped him build two multimillion-dollar businesses in two completely different niches, with RTA Cabinet Store landing on the Inc. 500|5000 list five consecutive years in a row for its explosive growth.